Never run out of craft ideas again with this handy and FREE eBook! Craft along with us as we celebrate creativity, imagination, and inspiration. Don't let your doggie go underdressed! 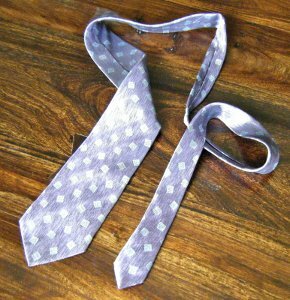 Make him a spiffy Puppy Necktie for all his business casual events. If dog clothes sewing patterns are too overwhelming, try this quick and easy no sew craft from Erika Lindquist to accessorize your puppy with style! 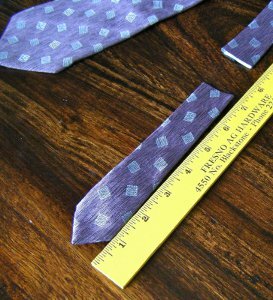 Cut off the skinny end of the tie at the desired length. 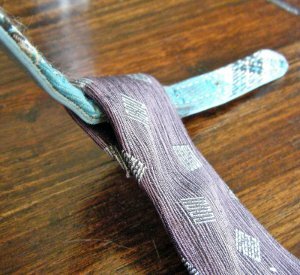 To decide on a good length, decide how long you want the tie to be and add double the width of your dog's collar (about 2 inches). 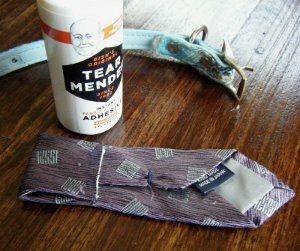 Bend the top of the tie back, leaving enough room for the collar to slip through the loop, and glue into place. Slip the collar through the loop. What a great idea! I have always wanted to make a regular tie for the dogs but always dreaded it because the mens ties are a lot of work so I have always made the bow ties. This is such a clever and easy way to make them and with no sewing involved. Sometimes the Dollar stores have the ties and I know the thrifts stores do cheap. Simple, fast and so cute. 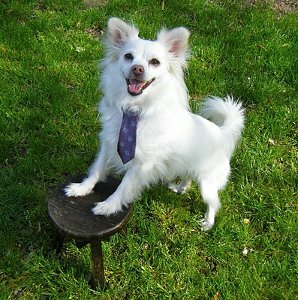 Why not gather some ties up and make your doggie a tie for all occasions and for every day. St. Patricks day is coming up so there is your green. I'm so excited to try this! Let's hope my dog actually keeps it on though! This idea is so cute! Thanks for sharing.